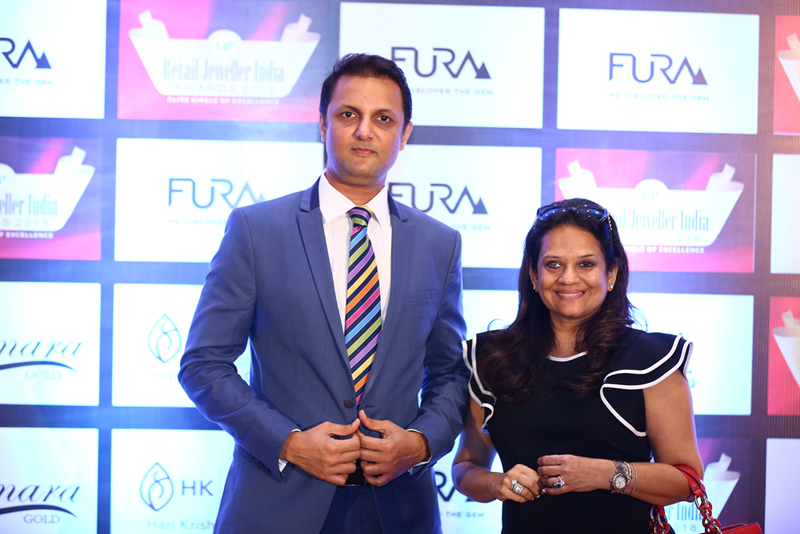 The 14th FURA Retail Jeweller India Awards 2018(RJIA), an Elite Circle of Excellence — widely described as the Oscars of the Indian jewellery industry — held its Grand Jury Meet on Tuesday, July 31st, 2018, at Sahara Star, Jade Ballroom, Mumbai. At the Grand Jury Meet this year, the eminent jurors selected the Top 100 precious jewellery designs of India — that is, five standout designs nominated from the entries in each of the 20 award categories. 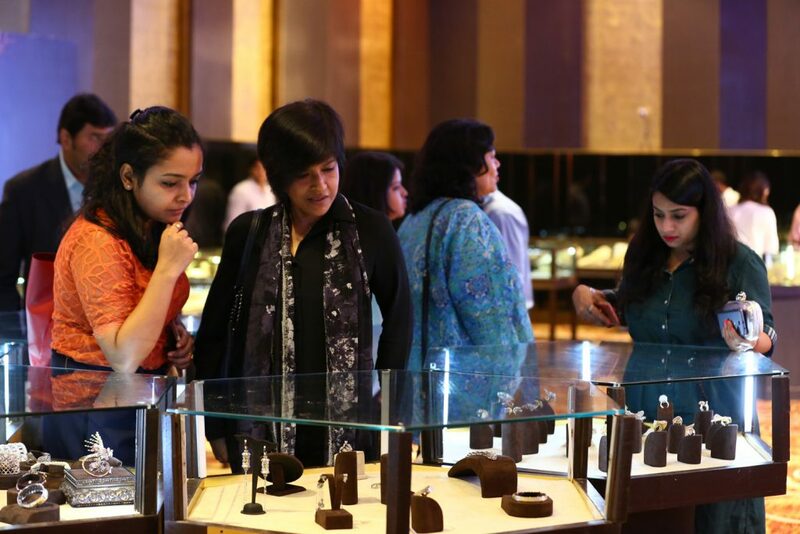 Vaishali Banerjee (second from left), MD, PGI India checking out the jewellery pieces. The total pool of 425 top-rated designs displayed at the meet, from some of the most respected jewellery houses in India, was shortlisted by the jury in the first phase of online selection. The process, which is truly rigorous, is audited by the reputed market research agency Hansaa. Connoisseurs of luxury, experienced and mature in their tastes, are the single most attractive consumer segment for jewellers in India. That said, the largest and most promising segment of today’s consumers is the millennials. The Awards team recognises this. Starting in 2018, FURA RJIA welcomes millennials as jurors to the Grand Jury. The FURA RJIA Grand Jury includes both jewellery connoisseurs and jewellery buffs, bringing a new dimension to the award decisions. This year the jewellery connoisseurs include Michelle Poonawalla, Director, Poonawalla Group of Engineering Companies; Nawaz Modi Singhania, Fitness and lifestyle expert and artist; Perizaad Zorabian, Director- Zorabian Group of Companies; Namrata Baruwa Shroff, Interior architect and Devita Saraf, founder and CEO of Vu Technologies. The jewellery buff’s include Kritika Kamra; Actor, Yashaswini Dayama; Actor, Puja Banerjee; Actor, Sreejita De; Actor and Priyamvada Kant; Actor and Riddhi Dogra, Actor. 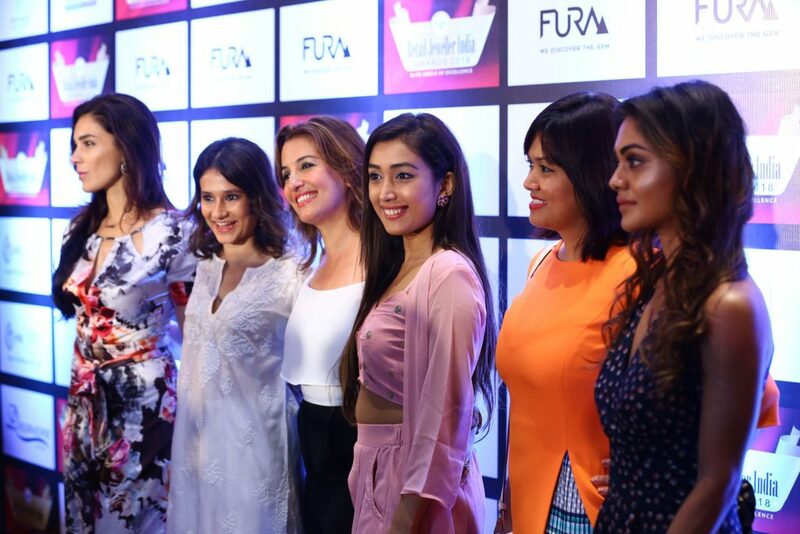 (From left) Namrata V Shroff, Yashashwini Dayama, Perizad Zorabian, Priyamvada Kant, Devika Saraf and Sreejita De were part of the jury panel. 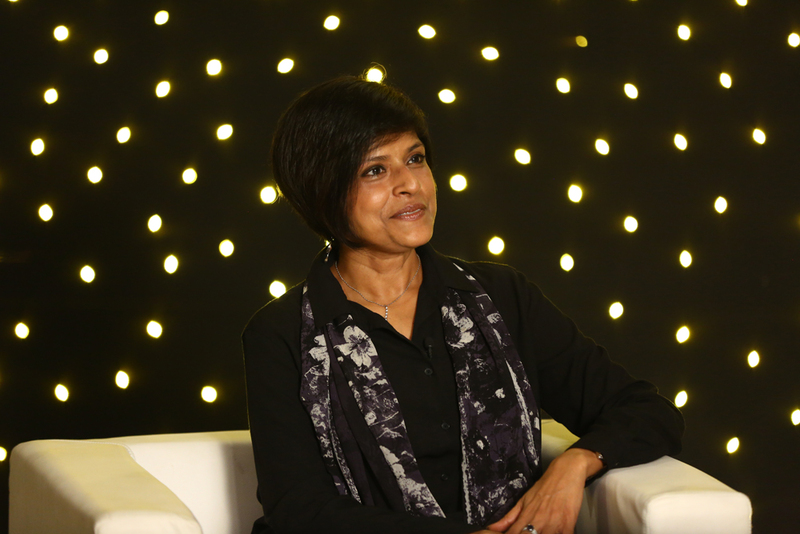 The core idea of this jury initiative is to identify those few, top-notch designs in precious jewellery that embody the incredible changes in design sensibility among the jewellery buyers of today. This year will also see the launch of a campaign to promote the TOP 100 precious jewellery designs of India at the Retail Jeweller India Awards. The campaign will brilliantly illuminate these top rated designs to the consumer who seeks differentiated, unique and creative designs. To give these designs the fuel of greater visibility RJIA 2018 has partnered with TheJewelleryDiaries.com, India’s first online precious jewellery media platform. It brings the latest from the world of glitz and glamour, sparkle and shimmer, all that’s precious and priceless. The Top 100 precious jewellery designs of India will be on display at the grand finale night of Fura RJIA 2018 in Mumbai on the 10th of August at JW Marriot, Sahar, Mumbai, where the winner in each category will also be announced. 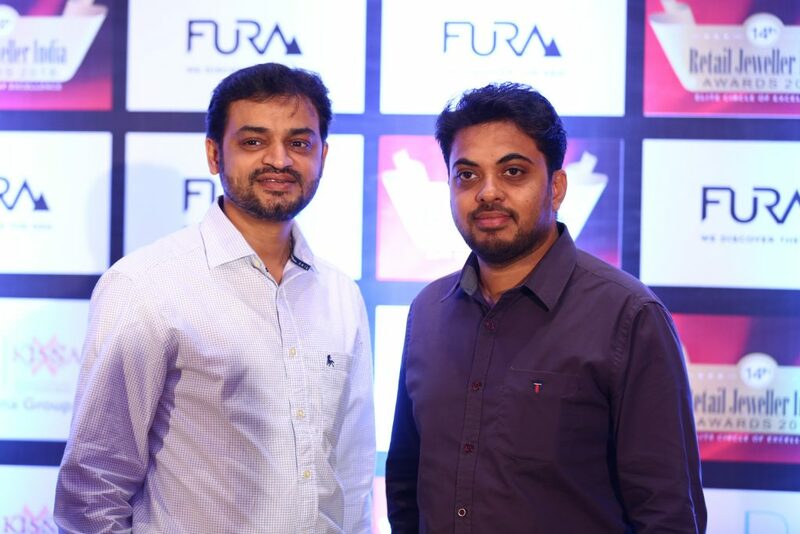 According to Rupak Sen, Vice President- Marketing& Sales, Fura, the presenting partner for RJIA 2018, “While the association underscores Fura’s commitment to India for building a more organized and transparent supply chain, the partnership with RJIA is more than just a strategic alliance. It is an ideological alliance as both are ethically minded companies. RJIA is determined in its resolve to mine the best gems out of a plethora of awe-inspiring designs in the most transparent and ethical manner and FURA is equally single –minded in taking a transparent route to mining the gems from Colombia and Mozambique. The associate partners for the event are Platinum Guild International PGI, Solitaire Gems Labs SGL, Hari Krishna Exports and Damara Gold. Solitaire Gems Labs (SGL) is an international independent laboratory that provides professional gemstone identification abd grading services to the gems & jewellery industry through its centers worldwide. SGL is the first international gemmological laboratory to specialize in certifying diamond studded jewellery in United Kingdom & to offer Mobile laboratory services all over the country for the same. Damara Gold Pvt. Ltd. is an India based leading manufacturer of gold jewellery. Specializing in internationally recognized quality machine made gold bangles and jewellery. Founded in 1975, Platinum Guild International (PGI) is the world’s leading authority on the platinum jewellery industry and is an organisation supported by the major South African platinum producers. PGI has specialist teams dedicated to raising awareness of platinum jewellery, developing demand for platinum jewellery through consumer and trade facing programmes in the four key jewellery markets of China, India, Japan and USA. With a family legacy of over two decades in the diamond industry, Hari Krishna Exports Pvt. Ltd is India’s leading manufacturer of cut and polished diamonds. The company is known for its highest ethical standards, commitment to excellence, consistent product quality and transparent business practice. Retail Jeweller India Awards was established in 2005 with the mission to take the US $52 billion Retail Jewellery industry forward by creating a platform for recognizing the best work of the industry in fields of design, retail and marketing. The RJIA ceremony is the oldest in the Indian jewellery industry. Also known as India’s Oscars for the Retail jewellery industry and the only business awards specifically for retail jewellers in the country of 3 lakh retail jewellers. With a jury of great repute and Hansaa as the process auditor, the awards are the country’s premier and most authoritative national competition. It is an initiative of the Retail Jeweller Magazine which is a specialized bi-monthly business magazine read by top jewellery retailers across 415 cities of India. Tarun Malkani, Business Advisor, Fura Gems. Fura Gems is a gemstone mining and marketing company with emerald and ruby assets in Colombia and Mozambique, respectively. Fura Gems has a unique identity as a revolutionary gemstone mining and marketing company. From their Dubai-based headquarters, Fura Gems sustainably source gemstones from their mining sites around the world, using industry best practices. 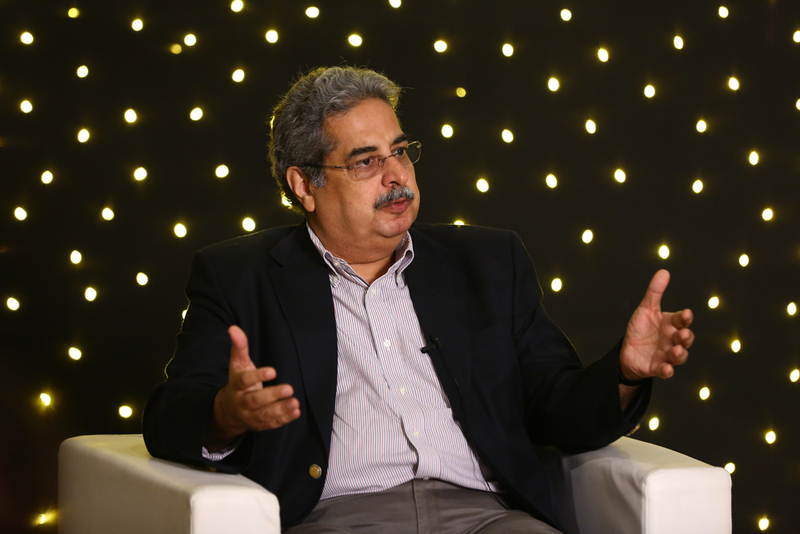 Fura’s initial focus includes mining ruby assets in Mozambique and emeralds in Colombia. Together with their trusted partners, they also market these beautiful treasures across reliable selling platforms. As a listed company on Canada’s TSX Venture Exchange (ticker symbol: FURA.V) and a member of the Forbes & Manhattan Group, Fura Gems strive to champion transparency and principled operations for all of their projects whilst bringing sophisticated mining and marketing to the global gemstone market, together with all their stakeholders, they are committed to the timeless pursuit of perfection.